Please check with your motherboard manufacturer for support. All AM4 A320, B350 or X370 motherboards may need to be updated to a supporting BIOS beforehand for this processor to work. If you are purchasing this processor at the same time as a motherboard, you can contact our Sales Team and we will update the BIOS for you prior to shipping for a nominal fee. Nothing can slow you down now with the AMD Ryzen 5 2600X, with an ultra-fast 3.6GHz base clock and huge 4.2GHz turbo! Whether you're gaming or working, this hexa-core processor has all the power you need for smooth, reliable performance. Creating and sharing high quality media will be a breeze thanks to Simultaneous Multi Threading (SMT), giving you a 6-core CPU with twelve threads massively reducing your rendering times! The new 12nm architecture results in lower power usage than 1st generation Ryzen processors, giving you better performance per watt than ever before. All Ryzen processors come unlocked and with a soldiered IHS for better heat transfer, and the AMD Ryzen 5 2600X comes with the new AMD Wraith Spire cooler; a high quality stock cooler that can even handle a mild overclock. Do you have you a question about the AMD 2nd Gen Ryzen 5 (2600X) 3.6GHz Processor 16MB L3 Cache with Wraith Spire (Boxed)? Q: will this Processor require a bios update to work with the Gigabyte A320M-S2H mobo? Yes, this motherboard would require a BIOS update to run this CPU. Q: Does this CPU Cooler come with the RGB Led. Q: Hello all at CCL. I just want to get this right. I got my motherboard from you via Amazon. Gigabyte AB350 Gaming 3, order placed 11th October 2018. I am curious to know will this cpu work with the motherboard,(Assuming I purchase the cpu from you) or will I be expected to pay extra to make the two components compatible, With Thanks. Q: How tall is the included Wraith Spire Cooler? It will be £10 if the motherboard is purchased on its own, or free if the CPU is purchased on the same order. Cheaper than on Amazon, quick shipping. Great processor for gaming. Better value than its Pentium counterparts and in my view performs just as well. Great for building your gaming pc. Very good value for money for a mid level PC build without the hassle of overclocking the 2600 to achieve the same performance. Great CPU! Runs everything Ive tried to play, AAA titles included. Very cheep considering What you get for your money, and the 2600x, if done right, can be overclocked to the power of a Ryzen 7 2700! For PhotoShop and InDesign, I'm wondering if I even need a discrete gfx card. Ryzen 5 and 7 are proving to be powerhouses, feeling quicker with integrated graphics under Win 10 than comparable Intel offerings. 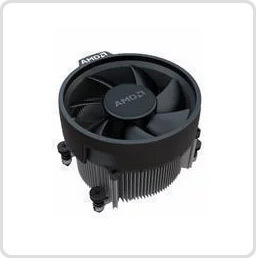 AMD's stock coolers are also far better. Does its job, running with GTX 1060 and 16gb of 3200 ram! Very good CPU and not had any heat issues. Great all round CPU for the price. CCL Online is my go to place for PC components.